Ed Chapdelaine has been either on or in the water, cruising, diving, sailing or fishing since he was about three (3) years old. He grew up in Connecticut and enjoyed summers cruising, looking for adventures, and exploring Long Island Sound, Block Island, the Vineyard Sounds and always scenic New England. 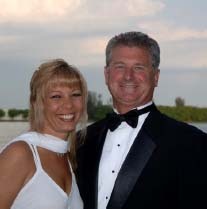 Ed moved to South Florida in 1977 and earned his Bachelor of Science degree, graduating in 1979, then earned his Captain’s License from the USCG the same year. He became a full time yacht broker in 1980. During his career as a marketer of yachts Ed Chapdelaine has enjoyed long-standing, profitable business relationships with the largest and most respected names in the new yacht sales and brokerage yacht sales industries (i.e. Merrill Stevens Dry Dock Co., Bradford Marine, Westship, Westport and West-Bay SonShip Yacht Sales). His extensive practical knowledge of the sea, the yachts and the cruising grounds of the Pacific NW, Caribbean, Bahamas and New England coupled with his almost 40 years of experience in the competitive South Florida yacht business enable him to expertly counsel clients to avoid potential pitfalls and succeed in accomplishing the client’s nautical goals and cruising and yachting objectives. Ed is proud to represent Hampton and Endurance Yachts for new sales as well as both of these manufacturers, in addition to West-Bay, Westport, Westship, Hatteras, Burger and other high quality custom yachts available for sale on the yacht brokerage market. “The high level of customer satisfaction with the yachts purchased through me is the most rewarding part of my job”.